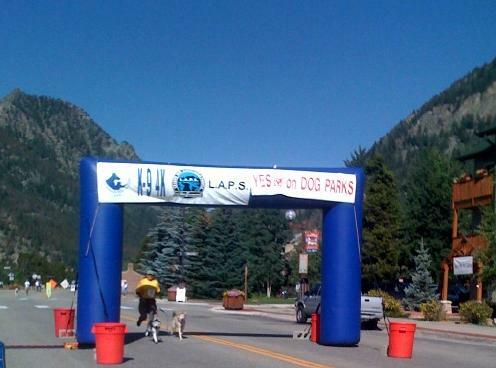 Zorro's second race, Max the Marathon Cruiser - LAPS 4k - came in 6th place! My photo of the boys (and Brad) coming through the finish line. They came in 6th place overall - and second in Brad's age group! Max and Zorro said... they could have easily came in first overall if they didn't have to be tied to the silly human. Here is the official photo of them after finishing - notice that Max has not even broken a sweat yet, but Zorro is kind of worn out because he still doesn't know how to pace himself yet. 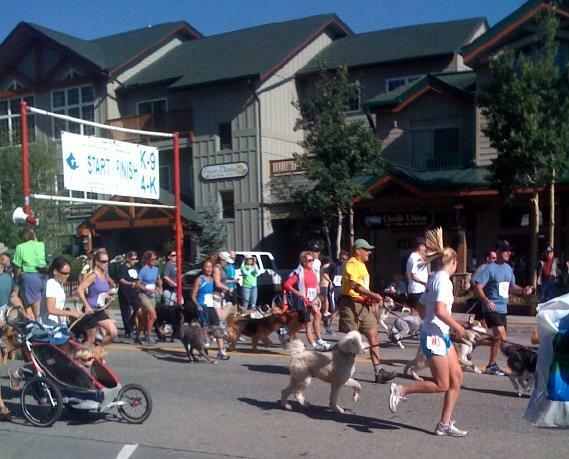 Speaking of not pacing himself - look at them in the photo below of the race start. 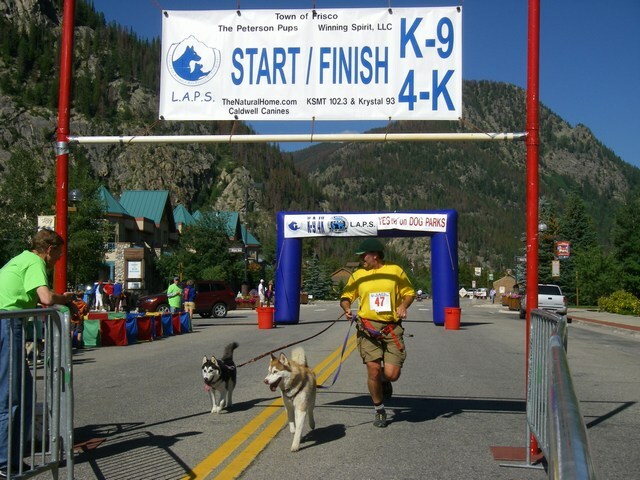 Brad is in the center with the yellow shirt and green hat, Max the red husky is right ahead of Brad (Max's front feet are both off the ground) and he is a bit blocked in the photo by the girl in the blue shorts, and Zorro is waaaaaay out ahead - you can see his black and white rear end off the ground right at the rightmost edge of the photo. Apparently Zorro barely touched the ground as they shot out the chute.